Are you someone who really likes to have bacon and jam with breakfast? 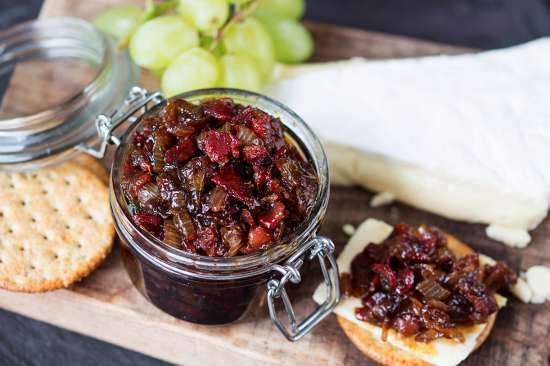 A perfect way to have both is to make a batch or bacon jam. This is easy to do and does not require any canning. All you will need to do is make sure you have the ingredients that are needed. Any type of bacon can be used to make bacon jam. However, you may find that a thick bacon will be a better option than thin bacon with very little fat. The bacon needs to be cooked, but not to the point it is burnt to a crisp or is really brittle. One of the interesting ingredients that is needed to make bacon jam is malt beer. The beer is added as a thickener, but also as acts as a flavoring agent. Do not worry about the alcohol as it burns off when you bring the ingredients to a boil.